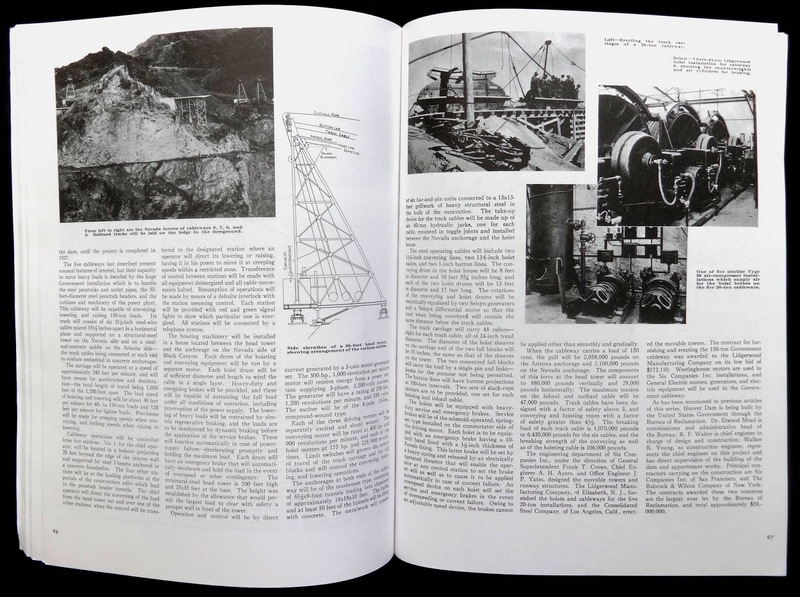 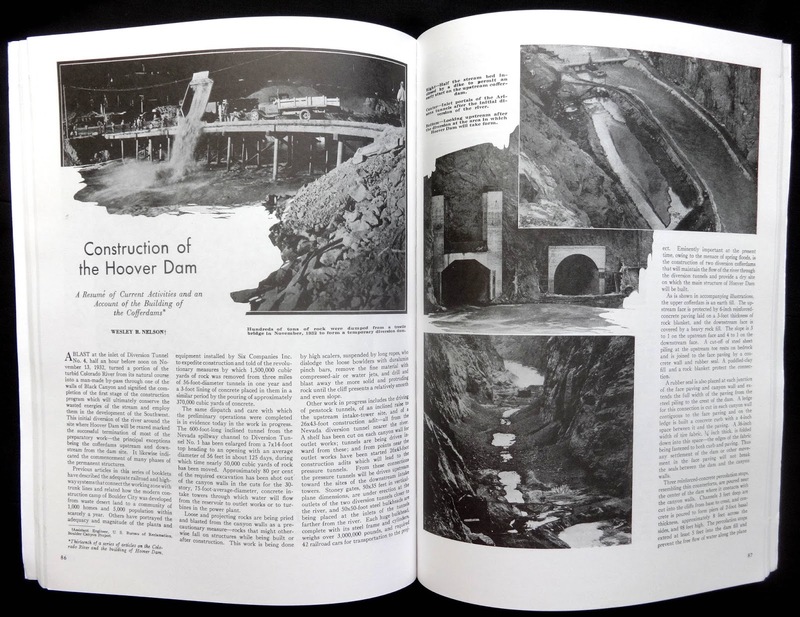 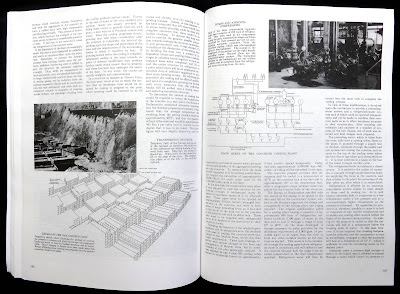 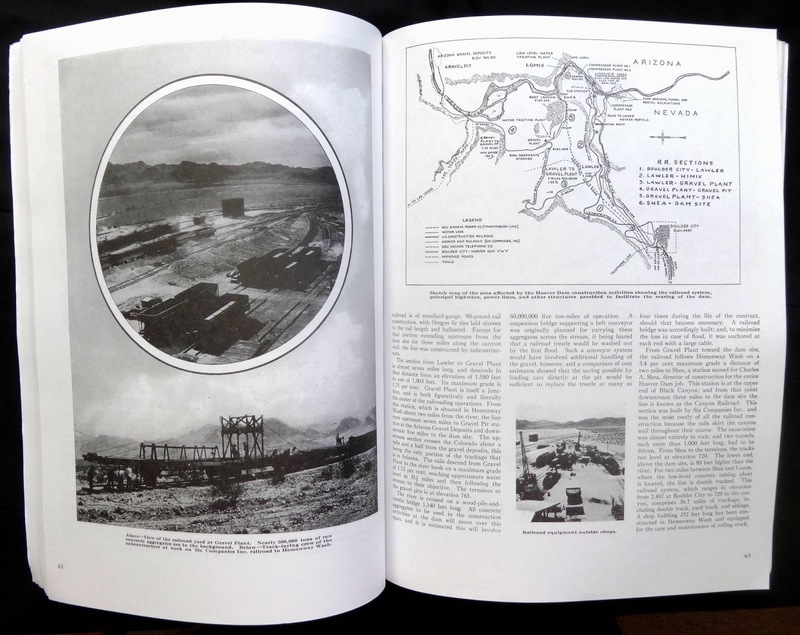 If you want to know all about building the Hoover Dam there is only one book: this one. 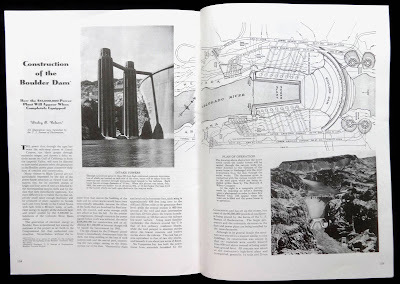 Amazon has several titles about the Dam but I bet that many authors cut and pasted facts and details from this book. The chapters originally appeared in Compressed Air Magazine during the construction and they were reprinted as five booklets and these form the basis for this title but without the ads in the originals (though there is one, on page fifty-four, for Ingersoll-Rand). It's worth saying that the copy was written for professional folk and a lot of it is quite technical but not too the point that the average reader couldn't follow the story. Actually the pouring of the 3,200, 000 cubic yards of concrete for the Dam doesn't take too many pages, the first hundred or so look in detail at the surveys of the Colorado River, building Boulder City, constructing the tunnels to divert the river while the Dam was being built, aerial cable ways, a railroad, fixed to the canyon side, to carry the concrete to the site, building the generating plant and more. 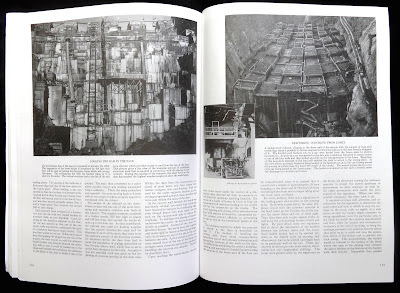 What fascinated me about pouring the concrete, over twenty-three months, was installing a hundred and fifty miles of pipes that carried refrigerated water to cool the huge heat build-up as the concrete set. 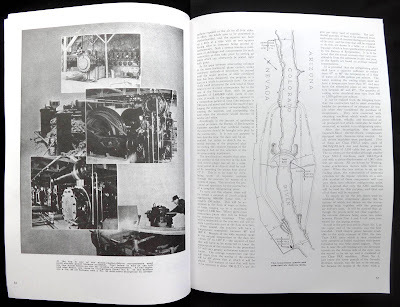 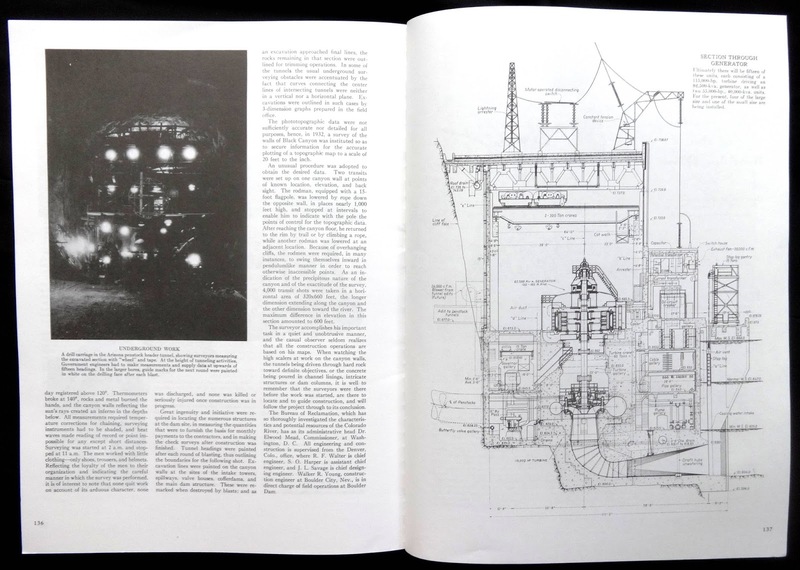 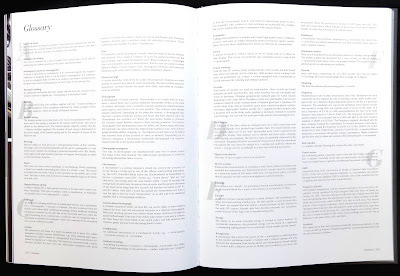 Fortunately more than a third of the book are photos and technical drawings that back up the copy and they all have very comprehensive captions. 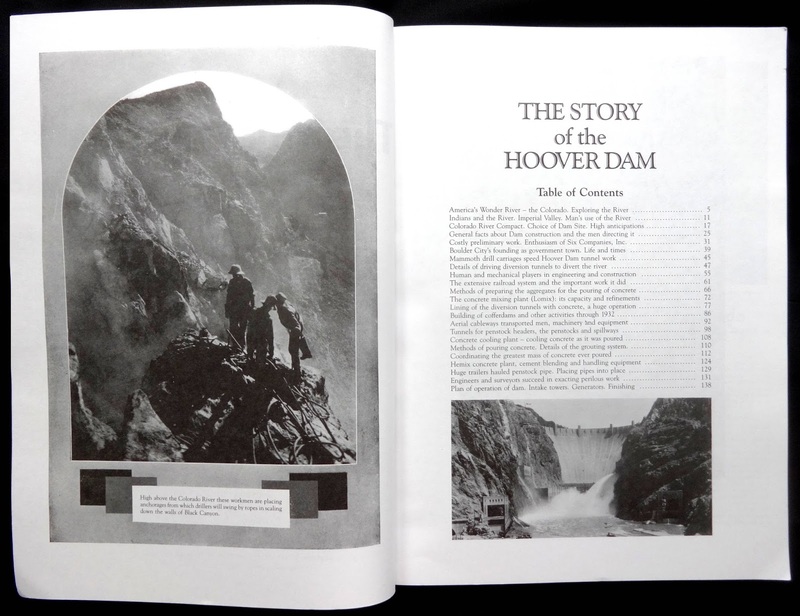 The Hoover Dam story comes alive in these pages and it can be picked up at an incredibly low price. 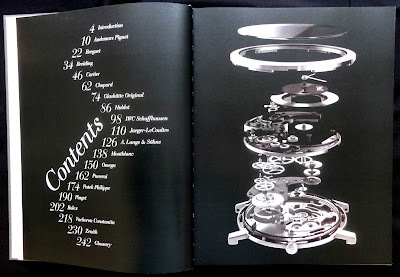 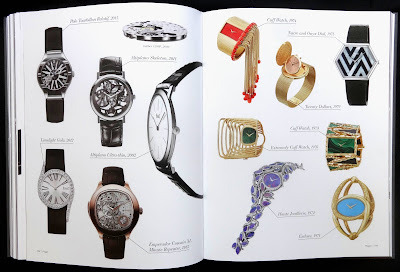 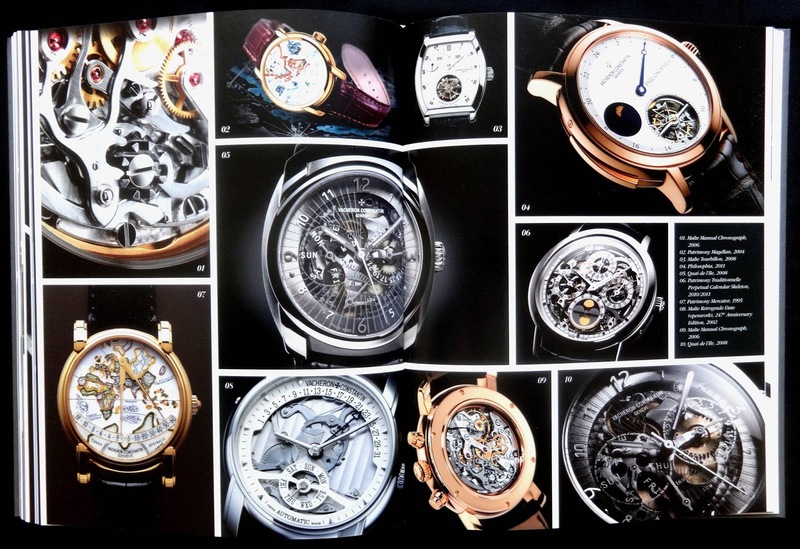 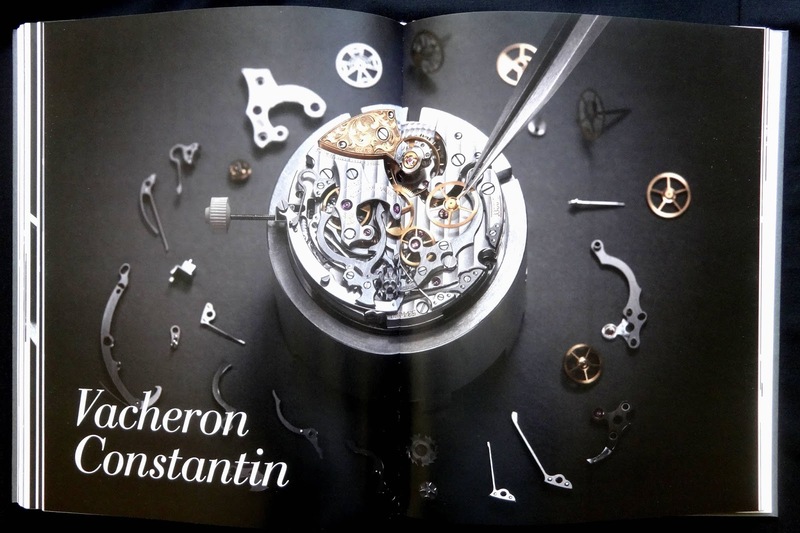 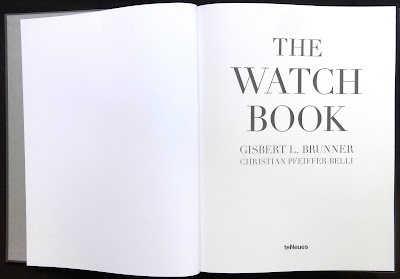 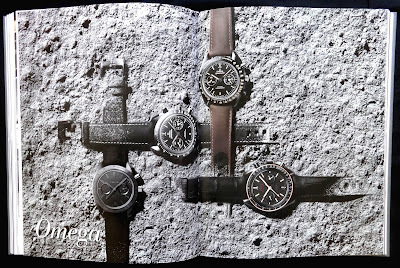 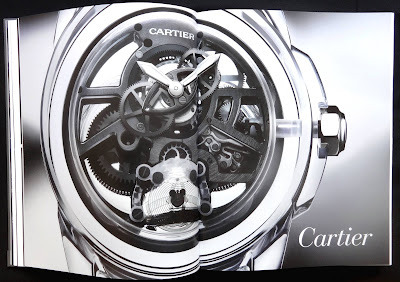 Basically this is a picture book of timepieces, a celebration of eighteen of the world's top watchmakers and probably the only time I'll ever see these watches close-up. 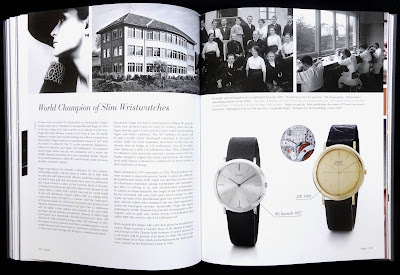 Each chapter starts with a brief illustrated history of the company (in English, German and French) and though interesting they are really written from a company PR perspective. This is followed by pages of superb photos, many of them huge close-ups of the watch face and these work particularly well with the skeleton models where it's possible to appreciate the design craftsmanship by looking through the watch. 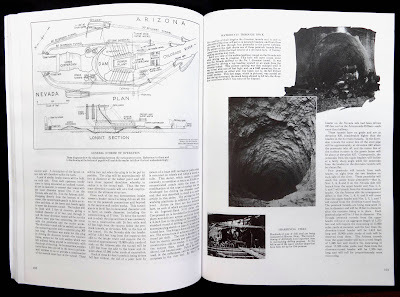 I thought the large size of so many of these photos reveals some interesting points. 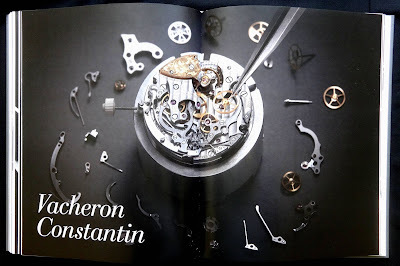 The chronometer watches obviously use capital cities around the globe but because there isn't one between the Azores and Rio the incredibly small island of South Georgia is frequently used or the Fernando de Noronha, Jaeger-LeCoultre just use H2O on their Reverso Squadra World Chrono. 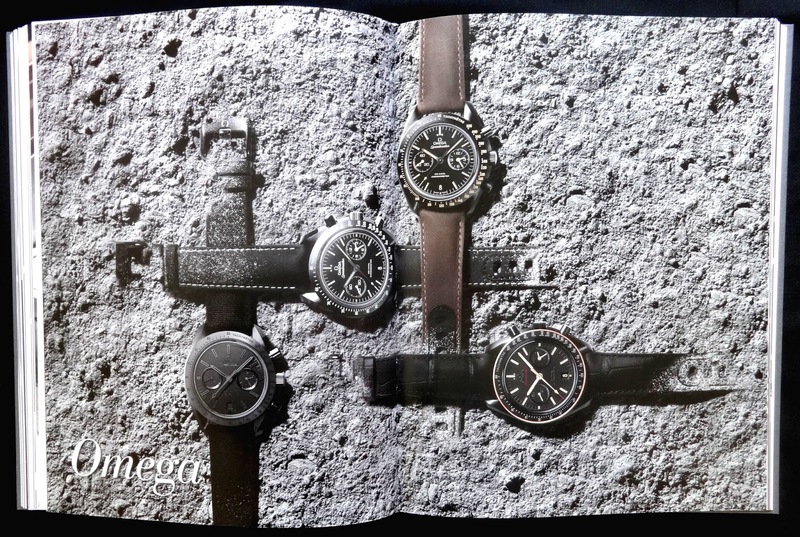 Two of their other chrono watches have Donnington and Gaydon instead of London (GMT). 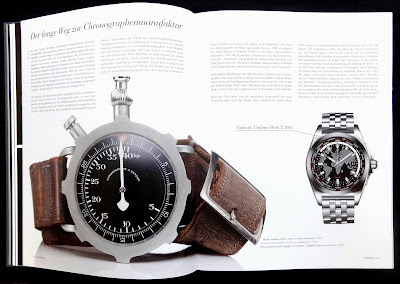 I noticed that most companies don't seem to be able to get to grips with using clean, elegant type for the numbers, those on the Patek Philippe Calatrava Pilot look quite hideous. 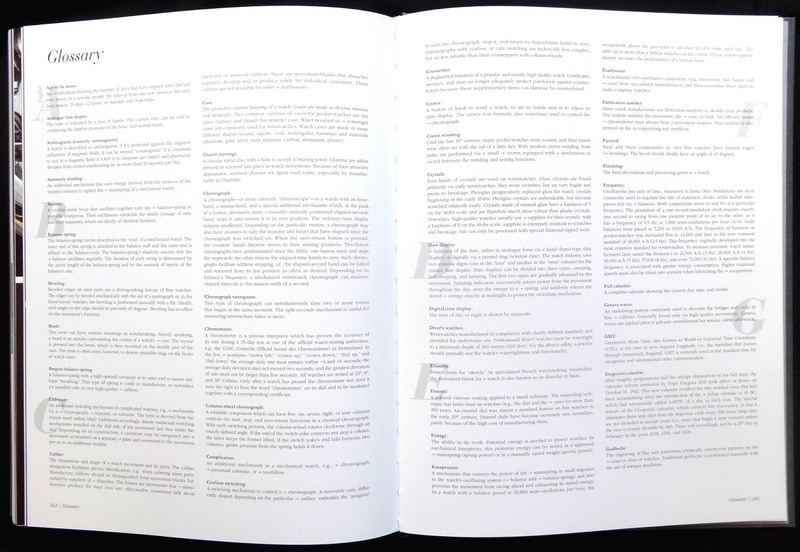 Easily the best looking solution is to use a thin line as so many do throughout the pages. 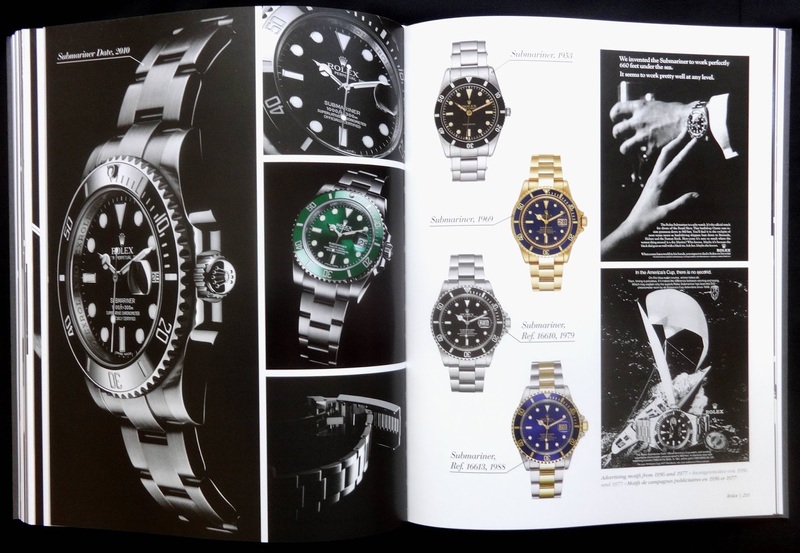 A really nice thing about this book is the production, excellent matt art paper for 175 screen printing and the first-class photos from the marketing division of each company. There must be some fairly strict guidelines from the companies about how to photograph their products in a studio because throughout the book they all have a uniform feel with controlled lighting and it looks like many of them have been shot minus the glass to avoid annoying reflections. 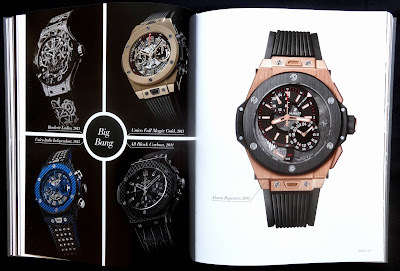 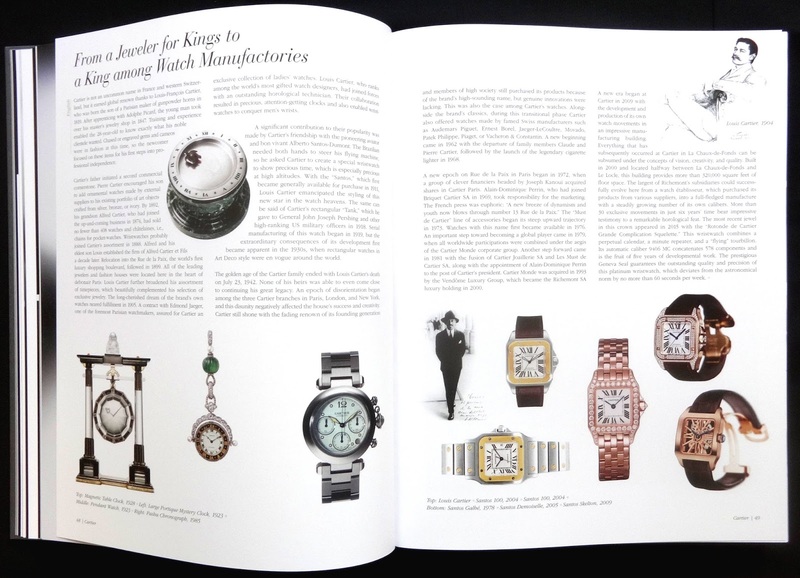 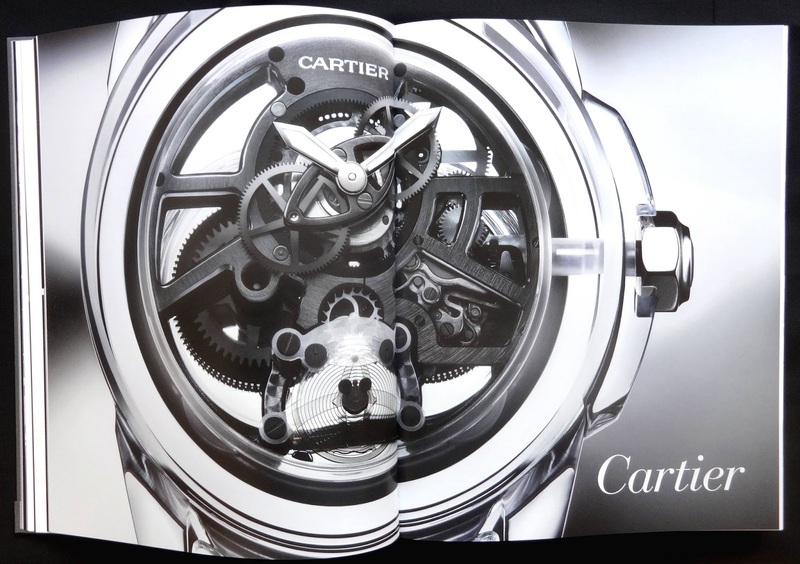 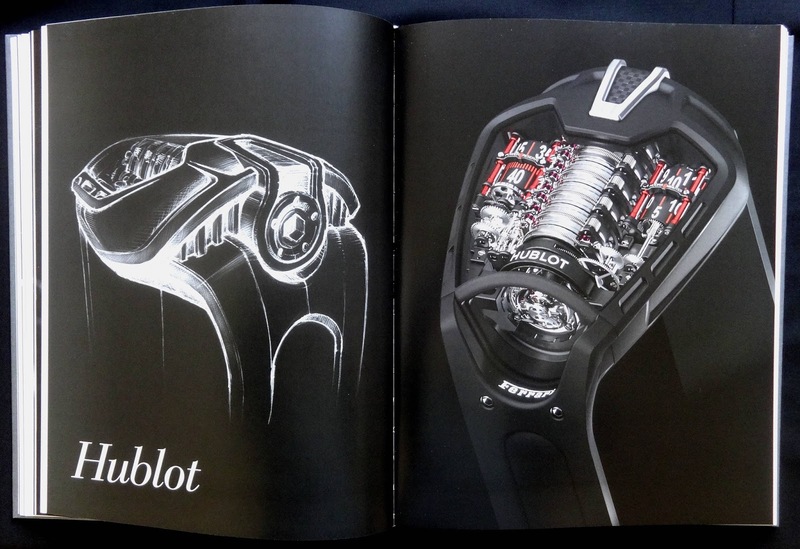 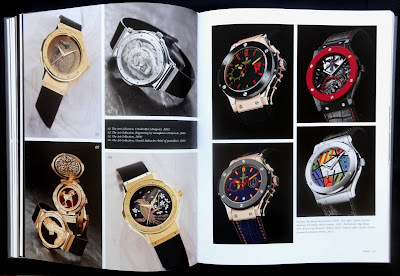 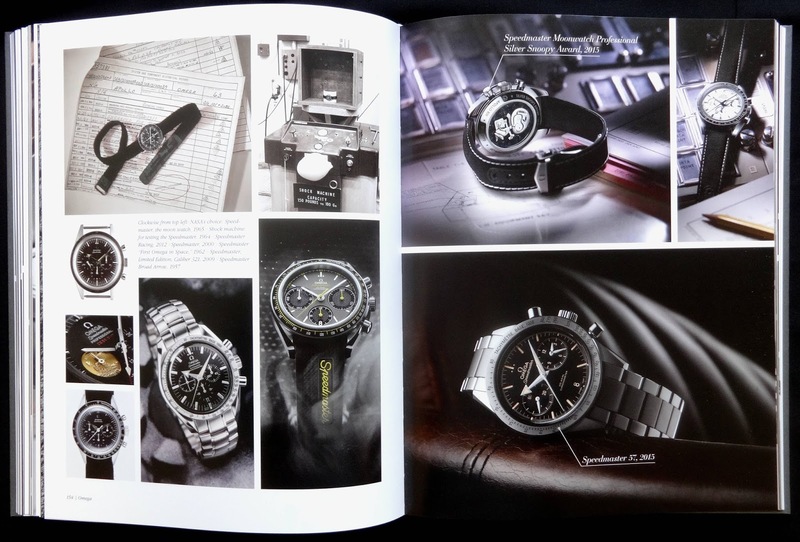 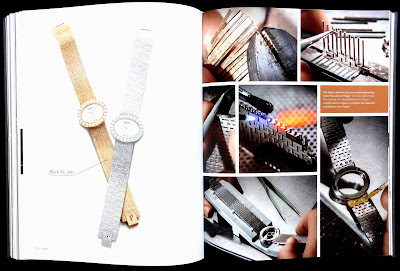 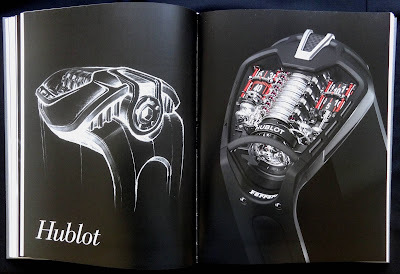 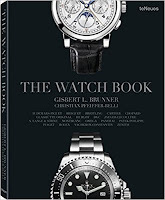 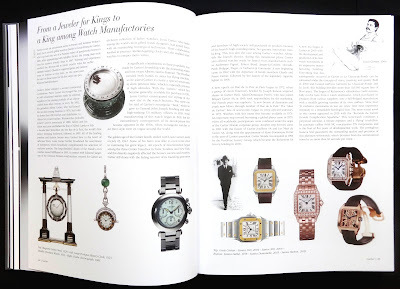 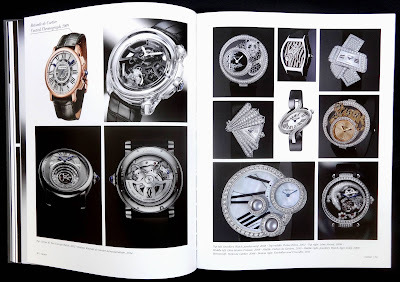 As I said this is a visual celebration of the watchmakers art and there is a second volume that looks at twenty-two brands with a broader coverage than this first book's look at top end of the luxury market.